Located in Bangkok, MD Rose Apartment has a terrace and a shared lounge. Well situated in the Bangkapi district, this motel is situated 10 km from Central Festival EastVille. Free WiFi is offered. All rooms in the motel are equipped with a TV. The private bathroom is fitted with a shower. The nearest airport is Suvarnabhumi Airport, 21 km from the property. Please inform MD Rose Apartment in advance of your expected arrival time. You can use the Special Requests box when booking, or contact the property directly with the contact details provided in your confirmation. 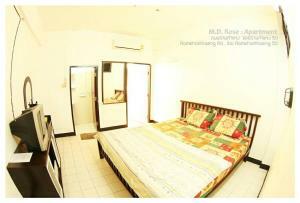 This twin room features air conditioning, balcony and tile/marble floor. Rate: THB 440.00; select dates below to get current rates. 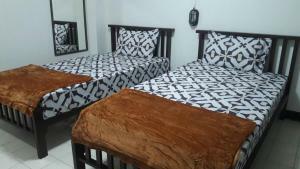 This double room has air conditioning, balcony and tile/marble floor.